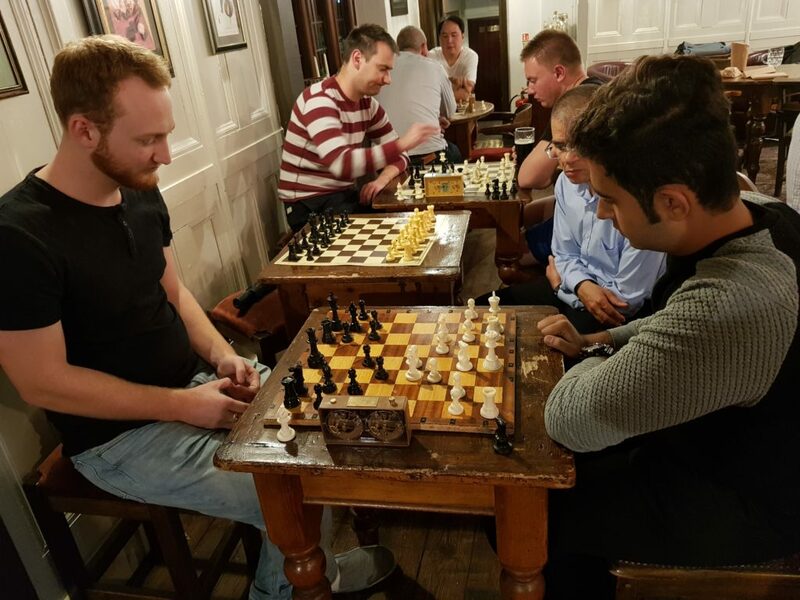 Monday was the Club’s final night in The Albion, and we rounded off proceedings with a handicap blitz tournament. As the last throws of Summer fizzled out this week, nine brave players showed up to battle it out for glory, graded from 210 down to 83 – a great spread! The top two players went into an Armageddon playoff. 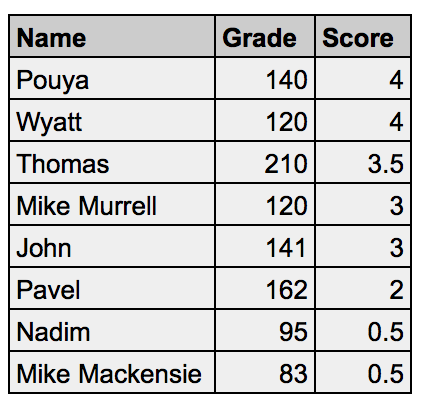 Wyatt had the black pieces and four minutes to Pouya’s five, but only needed a draw to win the playoff. Pouya blasted through Wyatt’s defences in emphatic fashion, sealing the win with time to spare. Next week we’ll be heading back to Lytton Hall. 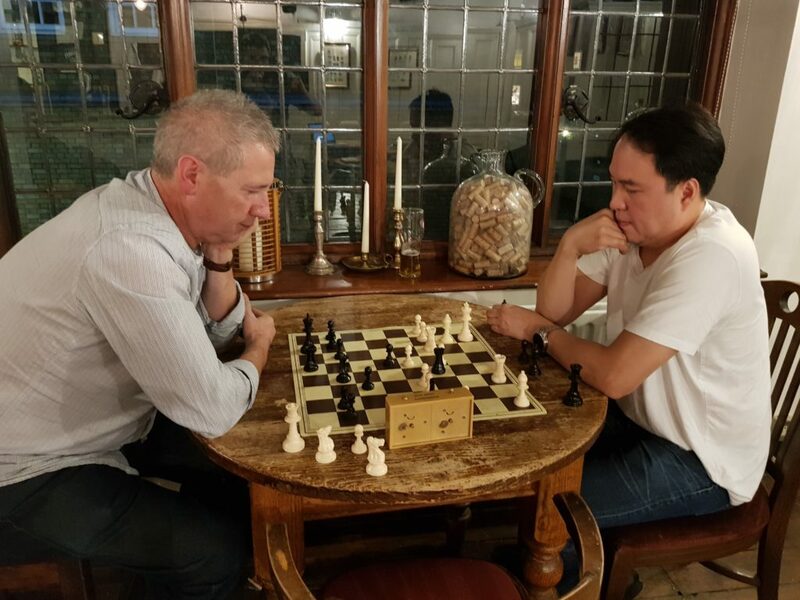 There are no matches and no training, but a chance for everyone to meet some new faces and play some chess while not under the influence of beer! With the new season barreling towards us, our opening fixtures are less than 3 weeks away. If you want to play for the club it’s essential you meet the playing criteria of ECF Membership, and Club Membership. Captains will be unable to pick you for a team if you haven’t sorted both. 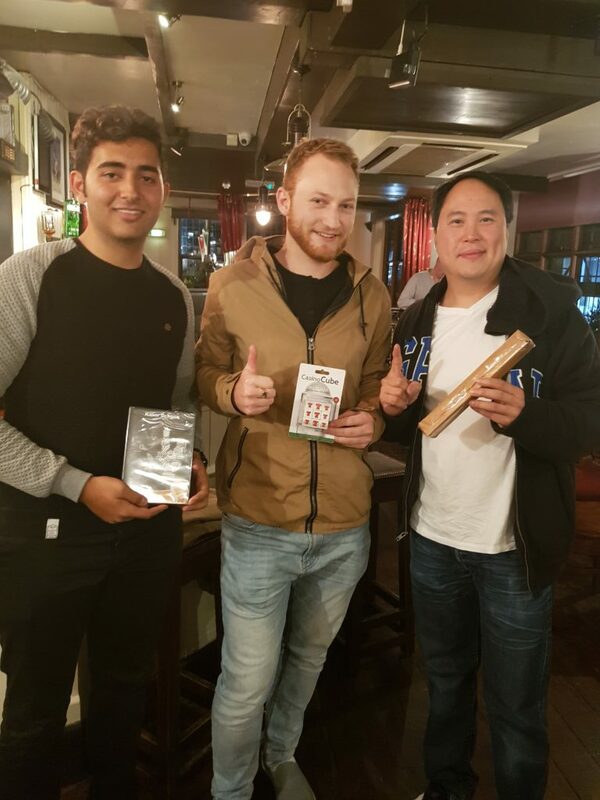 There’s still time to sign up for our new Season-long Rapidplay tournament! We’ve already had over a dozen players sign up for what will be our most prestigious Club Competition this season. Entry is free – it’s included as part of your Club Membership.